Jean-François Carpentier practices commercial law, focusing on banking, insolvency & restructuring, secured lending and commercial litigation. 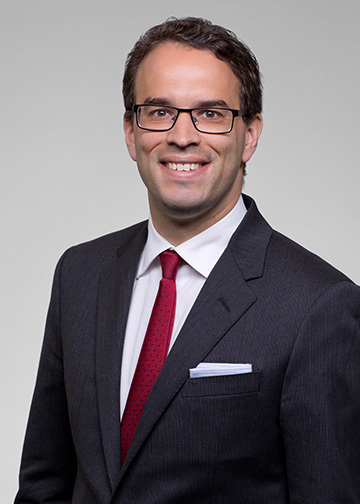 Jean-François also handles various civil litigation matters, including cases involving professional malpractice, latent defects and personal injuries. He is the co-author of a leading publication addressing the principles governing damages awarded as a result of personal injuries. In addition, Jean-François has worked on numerous files dealing with employment-related disputes (including in unfair dismissal cases), representing both employees and employers. In 2001, Jean-François graduated on the Dean’s List from the University of Montréal and obtained a Masters of Law with honours from the London School of Economics in 2003. He joined the firm following his call to the Bar of Québec in 2004.